By the National Radio Club. 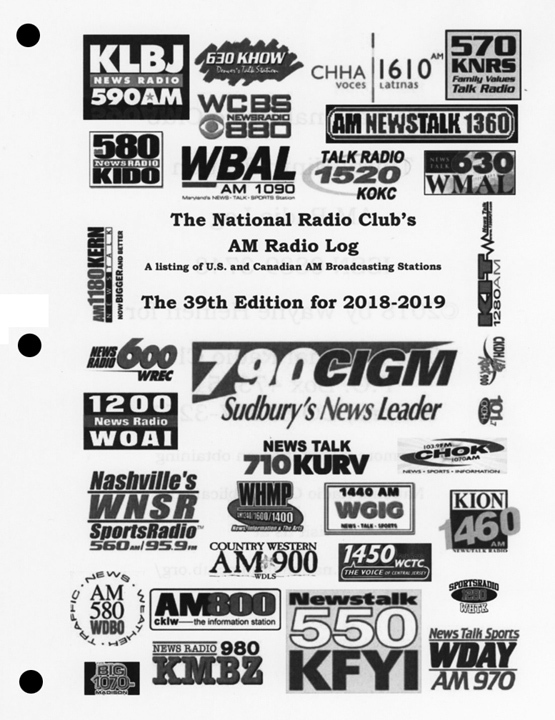 The most accurate and comprehensive guide to American and Canadian medium wave (AM) stations available. 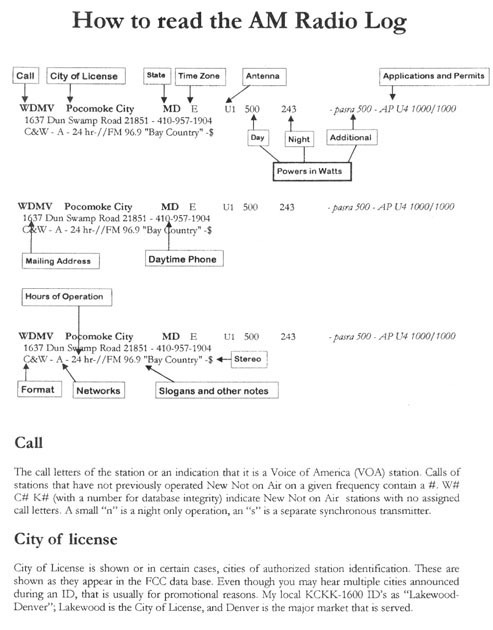 Organized by frequency, with callsign cross reference. The 39th edition of the Log contains over 300 pages of data and cross references and 12 pages of instructions in 8-1/2" x 11" size, 3-hole punched, U.S. loose leaf format. This publication fits nicely into a 1" three-ring binder (not supplied). Many updates since last year's 38th Edition of the log! New for this year is a cross reference by State/ Provinces in frequency order. This list is ideal for targeting needed areas. 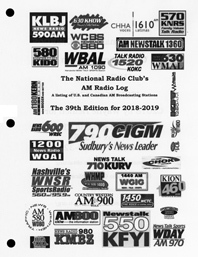 Additional reference lists include call letters of FM simulcasts with the AM Stations listing, listings of regional groups of stations in the groups section (separate section of the log book) and a cross reference of those stations that are licensed to use IBOC™ (In Band On Channel) digital audio and a comprehensive list of FM translators that are now simulcasting with AM broadcasters. Everything is displayed in an easy-to-read format. A must for every medium wave DX'er. Many updates since the previous 38th Edition of the log! 39th Edition. National Radio Club. Printed August 2018. 302 pages. List $32.95.